The work never stops at the Workshop School – not even for summer vacation! This summer we hosted 17 student workers, funded through Philadelphia Youth Network’s WorkReady program. They spent their time working with Bevan Weissman, Workshop Industries Coordinator, and Meg Hayden, Upper House Coordinator, to turn the Fab Shop into a space where everyone can build and learn safely. They also put together a presentation on healthy relationships for a Skillshare with their peers. We also hosted all our new and returning staff for 2 weeks of summer professional development. We spent our time orienting newcomers, planning this school year’s projects and procedures, defining a shared culture that expresses our collective values, and building bridges and cardboard boats – just like our students! Principal Simon Hauger captured some of the magic of our first week. 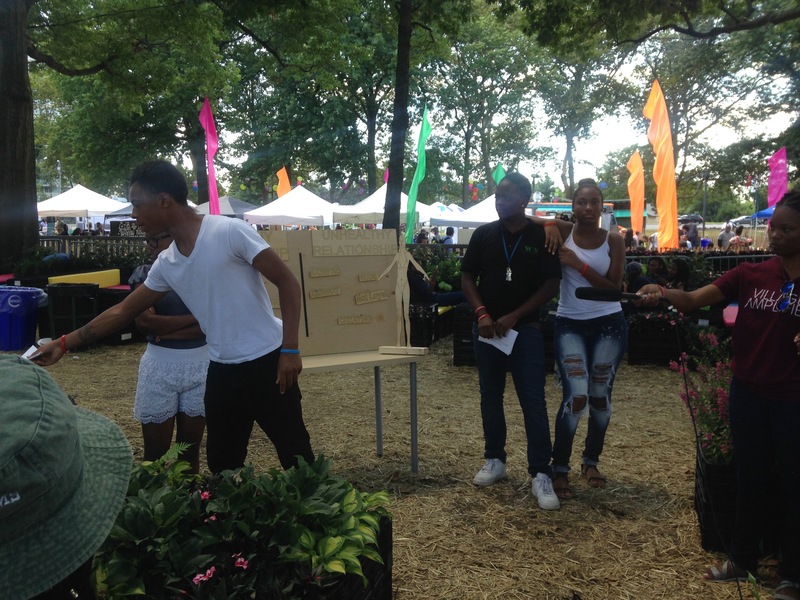 Two students, Jahtae Williams (12th) and Issa Benoit (11th), attended Adventures of the Mind, a week-long career and college exploration for top students across the country. Read about their experiences in the Tribune. Quwontay Hunter (10th) was profiled in Grid Magazine, giving a glimpse into what life is like for the Workshop School student. Check it out! Teacher Kathleen Melville reflected on her first year at the Workshop School in Education Week. We are lucky to have her wisdom and leadership leading a 9th grade advisory again this year!